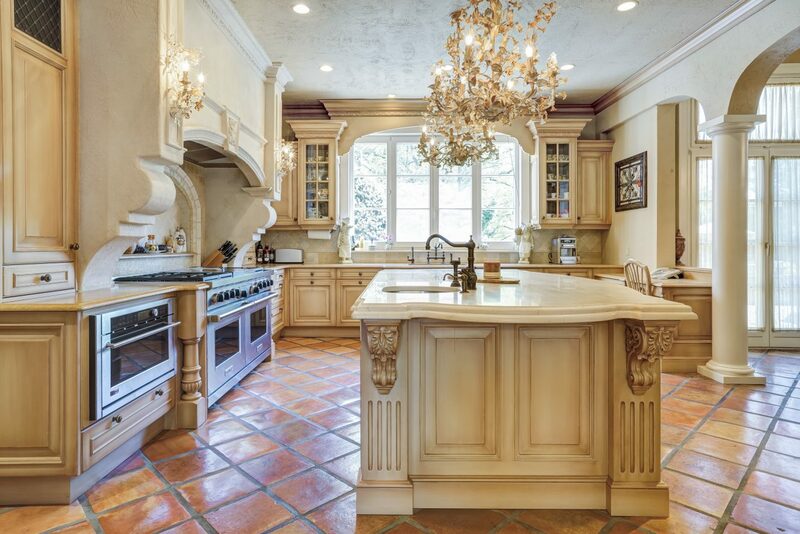 A Chateau set on a 4-acre cul de sac with design inspired by the chateaux of France’s Loire Valley. 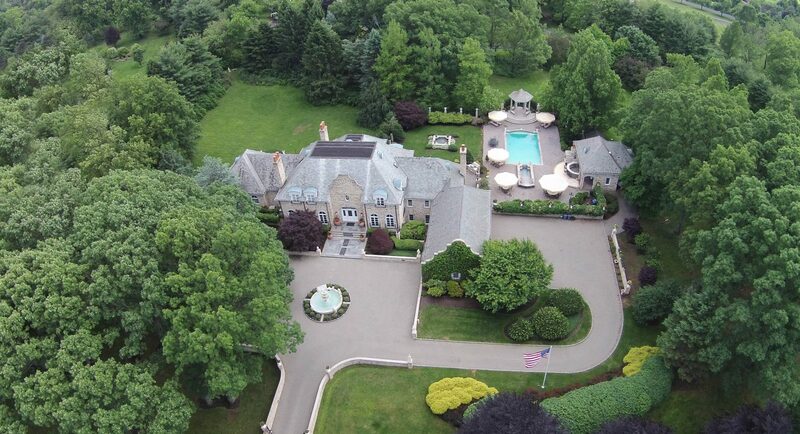 A gated entry with paverstone drive leads through a fountain-centered courtyard to the grand two-story entrance hall flanked by mahogany French doors leading to formal dining and billiard room with wood-burning fireplace. 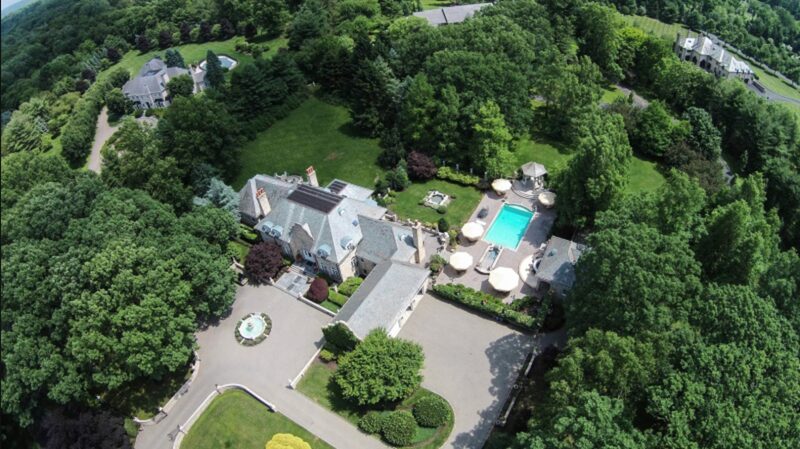 The great room has an immaculate wood-burning fireplace and access to the magnificent grounds. 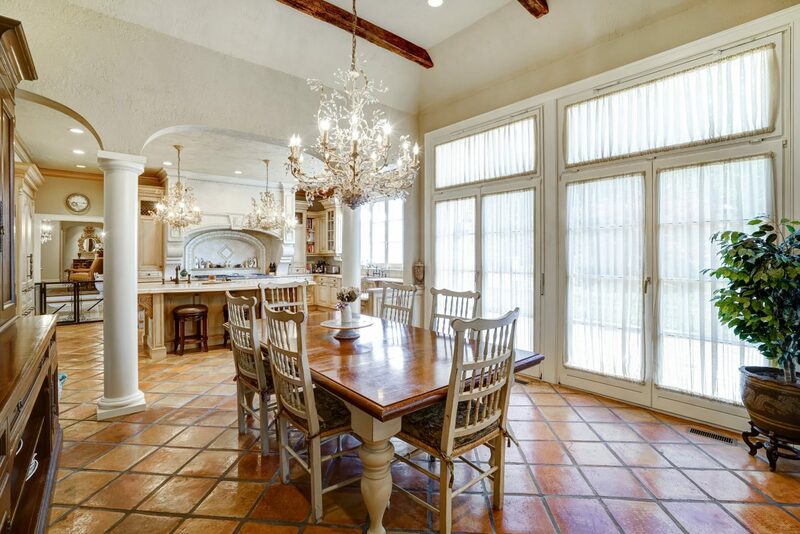 The gourmet Leonardis kitchen with an archway leading to a breakfast room boasting high, beamed ceilings and spectacular views and access to the yard complete with pool and pool house. 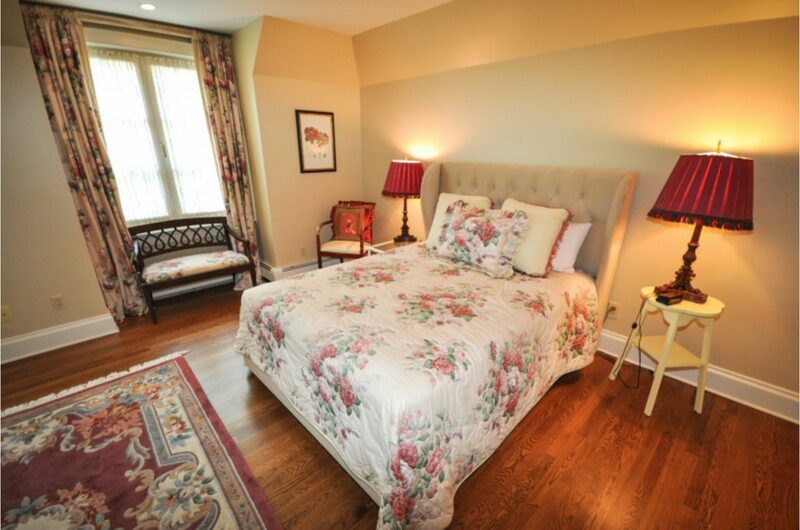 The large first level master suite has not only his & her walk-in closets but his & her spa-like bathrooms. Four additional bedrooms, two en suite and two with a shared bathroom, are located on the second level. The lower level has a large recreation room, media room, laundry room, full bathroom, and plenty of storage. 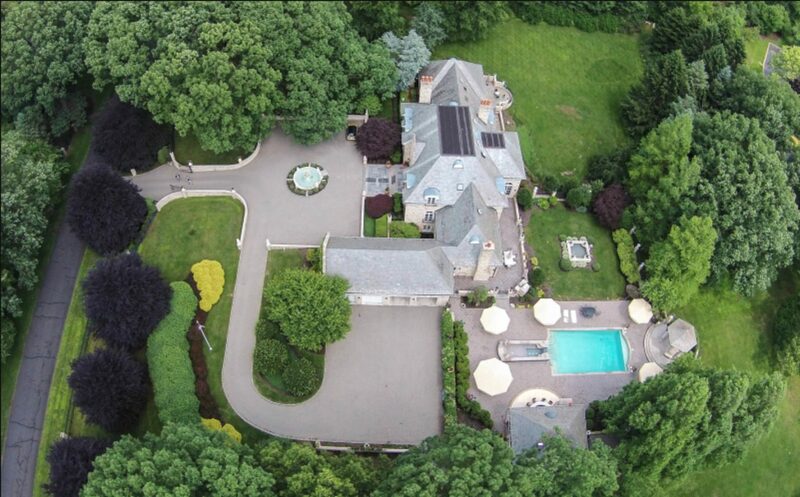 The ultimate in privacy, this estate is surrounded by natural beauty, as well as conveniently located within minutes of mid-town direct trains to Manhattan, shopping, dining and recreation. Grand Two-Story Entrance Hall: Beautiful front door with sidelights and a Palladium window above allows an abundance of natural light. 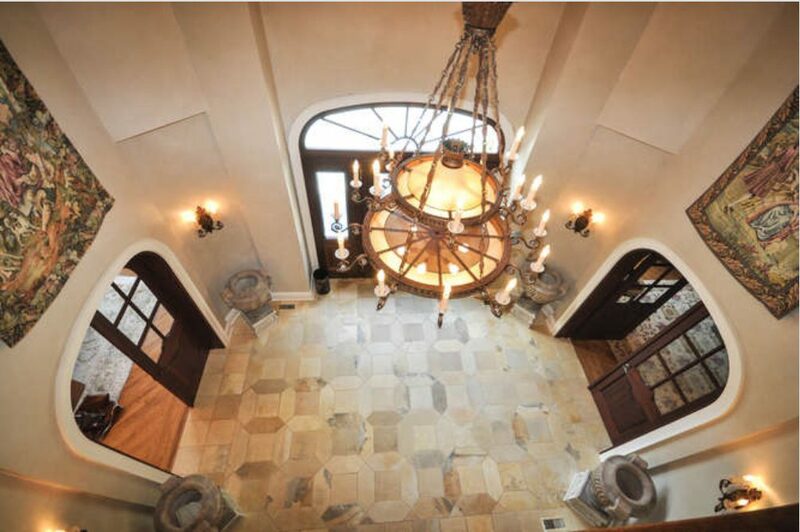 Wired for chandelier, a pair of archways with double mahogany-framed French doors lead to formal dining room and billiard room. A Juliet balcony from the second level landing ovelooks. 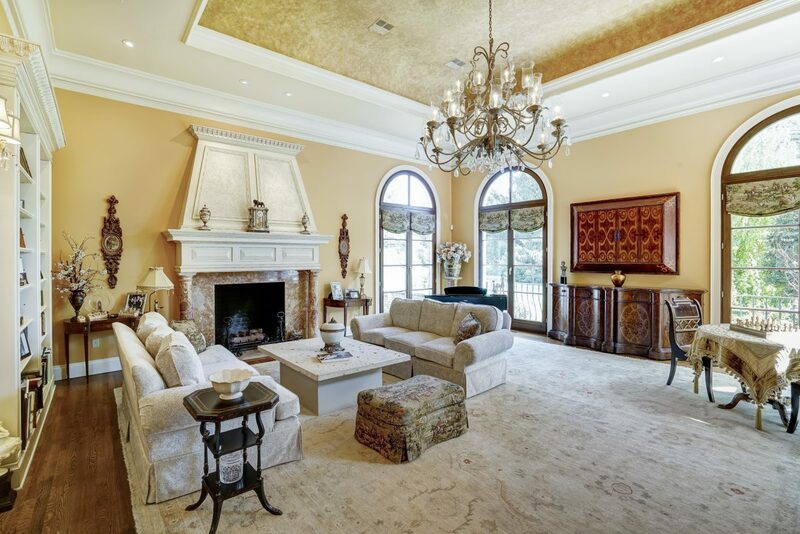 Great Room: Immaculate wood-burning fireplace set in marble with two columns, 4 French doors with Palladium windows above, 2 of which lead out to a gorgeous backyard. 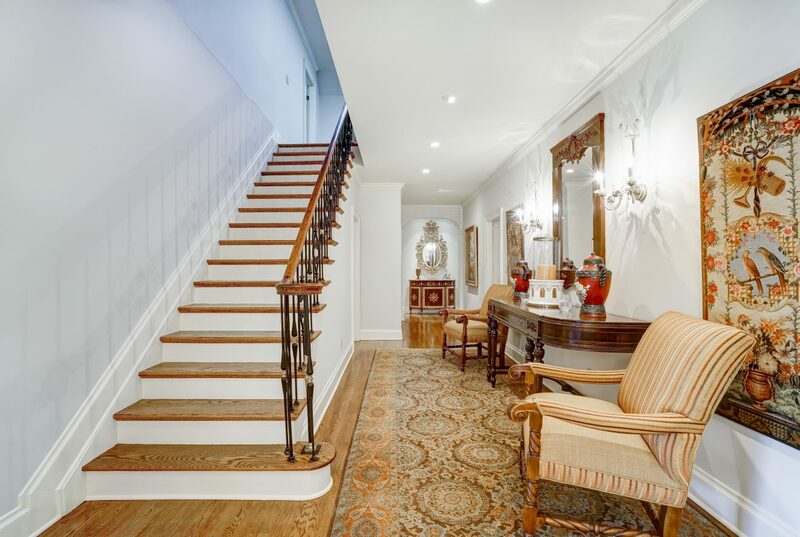 Very high tray ceiling, wired for chandelier, hardwood floor, recessed lighting and incredible molding. 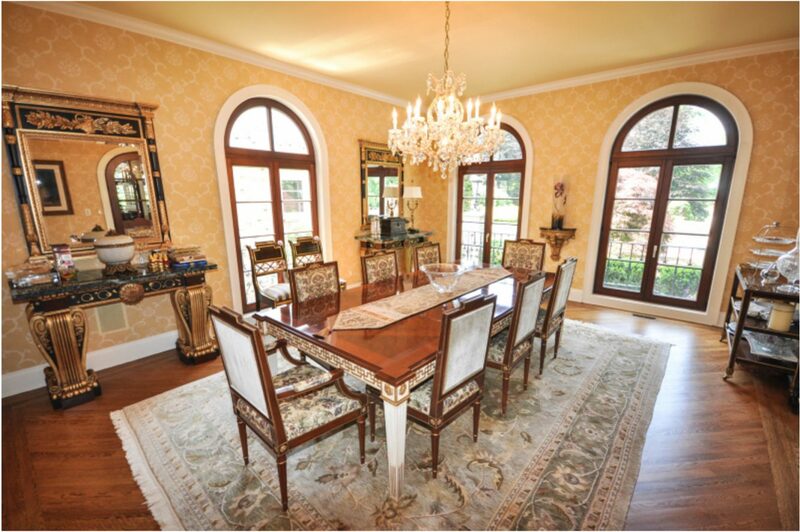 Formal Dining Room: Three French doors with Palladium windows above, crown molding, recessed lighting, and wired for chandelier. 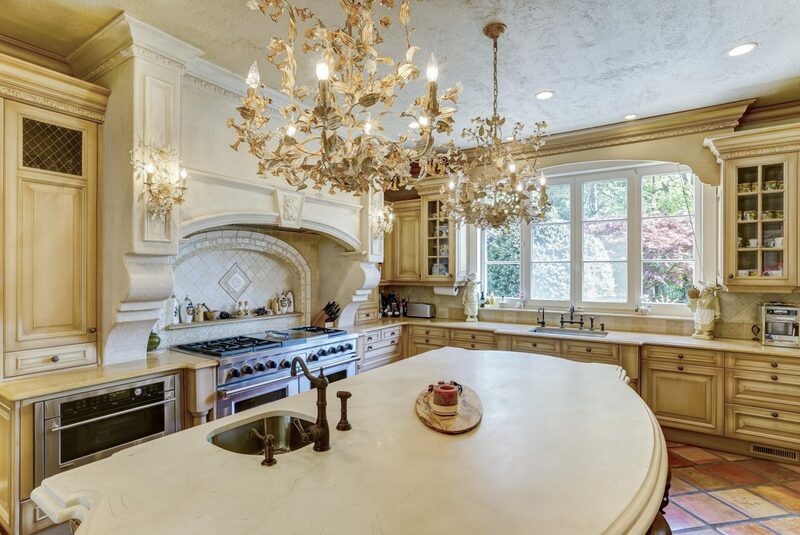 Gourmet Eat-in Kitchen: Large 6-burner Wolf gas range with double oven below, an overhead exhaust and immaculate tile backsplash with exquisite moldings. Countertop with sink with Perrin & Rowe / Mayfair faucet with a large window overlooking the backyard. 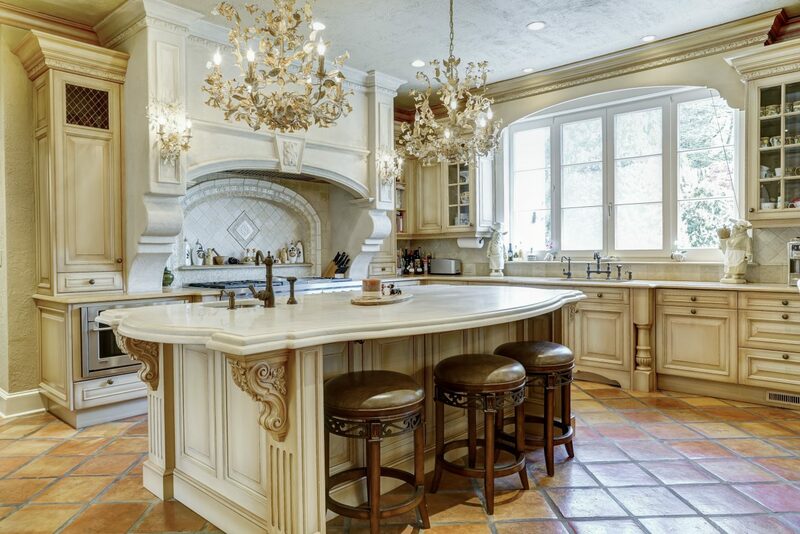 Large marble center island with sink seats three. 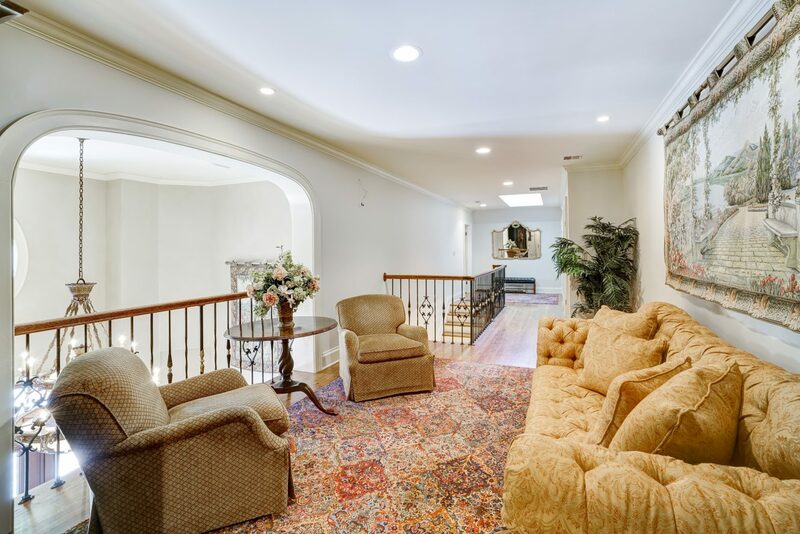 Beautiful archway with a pair of columns leads to breakfast area & Family Room. 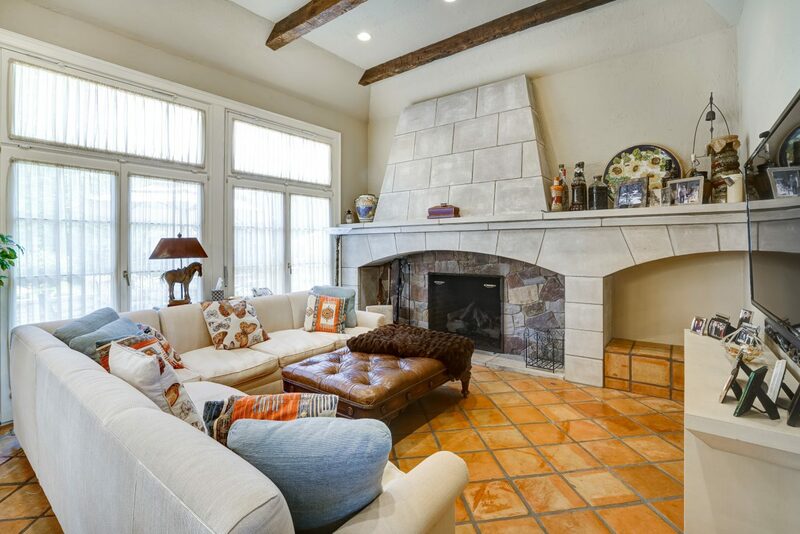 Family Room: High, beamed ceiling, recessed lighting, crown molding, and a limestone wood-burning fireplace with special built-in cove for firewood. A wall of 4 French doors leads to the beautiful backyard. 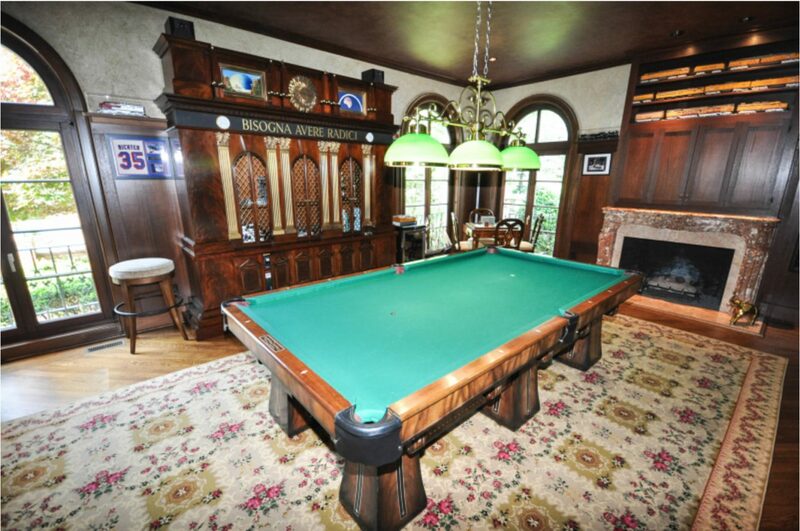 Billiard Room: Beautiful mahogany walls, 3 French doors with Palladium windows above, recessed lighting. 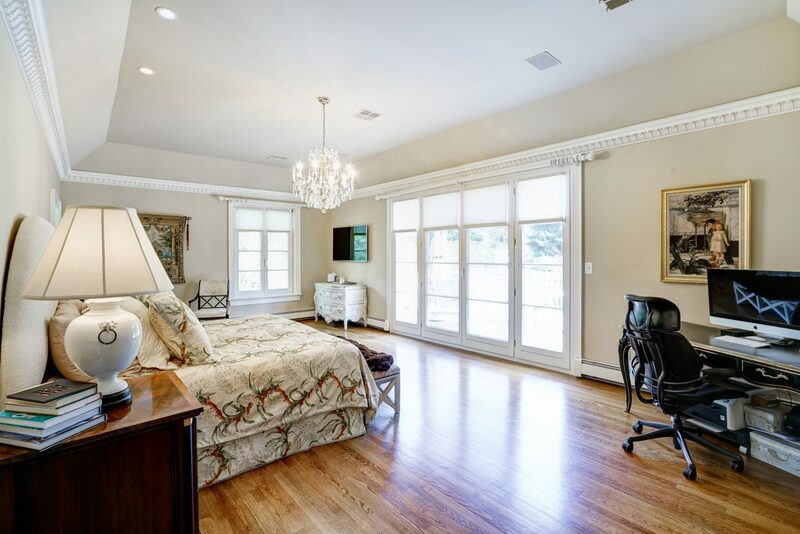 Master Suite: Hardwood floor, tray ceiling with gorgeous crown molding, wired for chandelier, 2 large walk-in his & her closets. 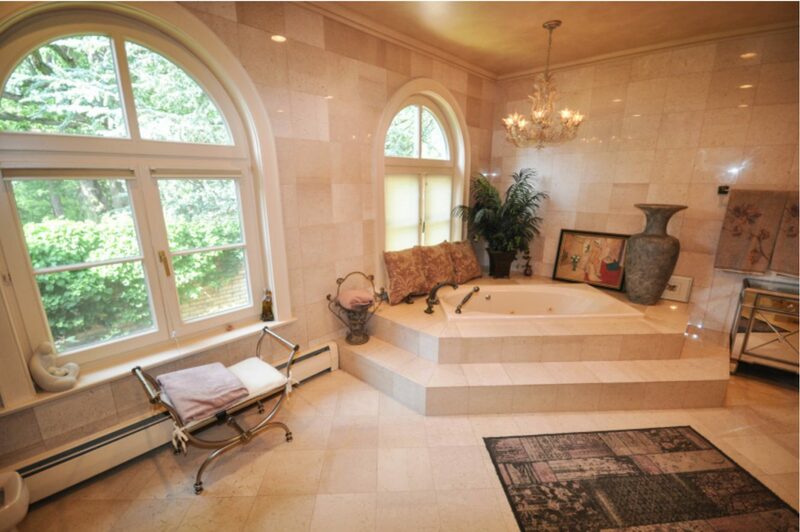 Two Spa-like His & Her Master Baths: Each with marble sink, jetted tub, shower stall. Office: Two large windows, recessed lights, and a large double door closet. Bedroom 2: Two large windows, tray ceiling, recessed lighting, skylight and closet. 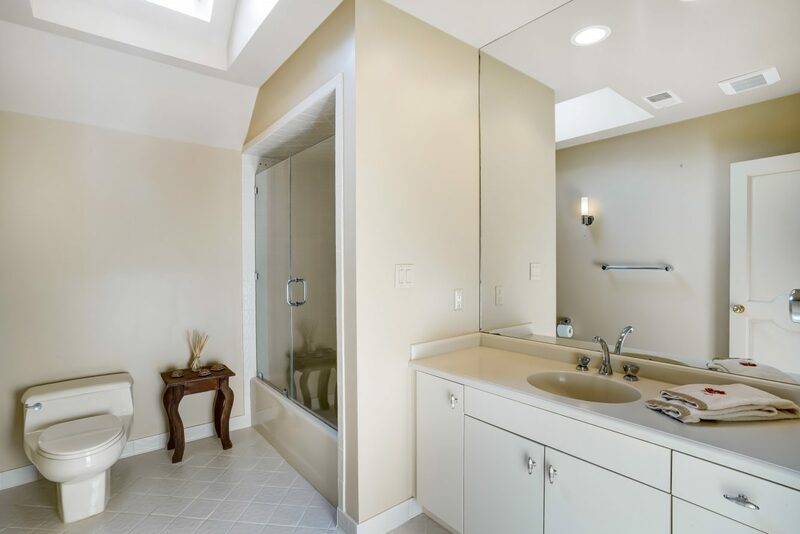 En Suite Bathroom: Skylight, shower stall, sconce over mirror over sink set in custom vanity. Bedroom 3: Two large windows and large walk-in closet. En Suite Bathroom: Shower stall, recessed lighting, mirror over sink set in custom vanity. Bedroom 4: Two large windows, 2 closets, recessed lighting. Full Bath: Skylight, shower stall, mirror over sink set in custom vanity. 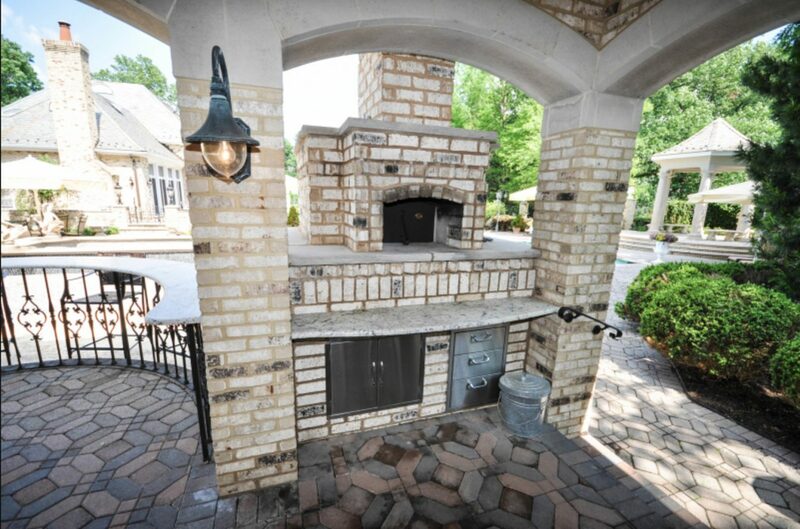 Grand level with a large recreation room, media room, and full bathroom with shower over tub. Plenty of storage space, including a large cedar closet, and a laundry room with utility sink, Whirlpool washer & dryer, built-in cabinets and countertops. 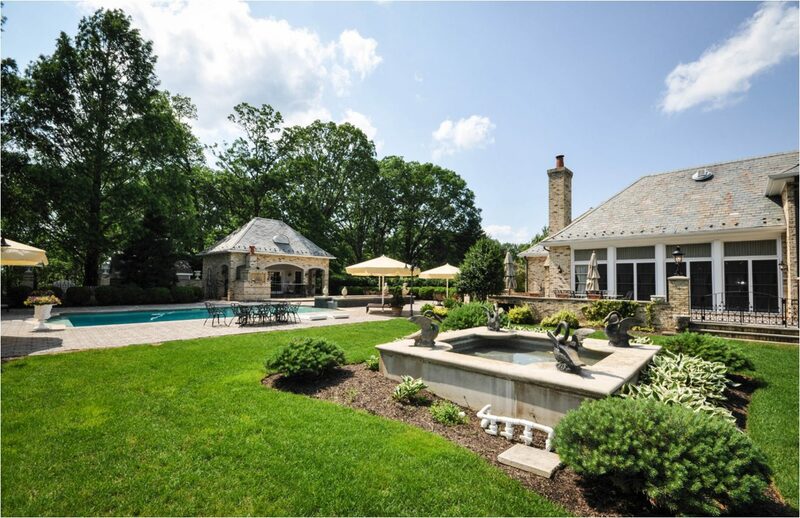 Pool House: Slate roof, brick exterior dining terrace with al fresco built-in Italian pizza oven, and 7 exterior hanging fixtures. 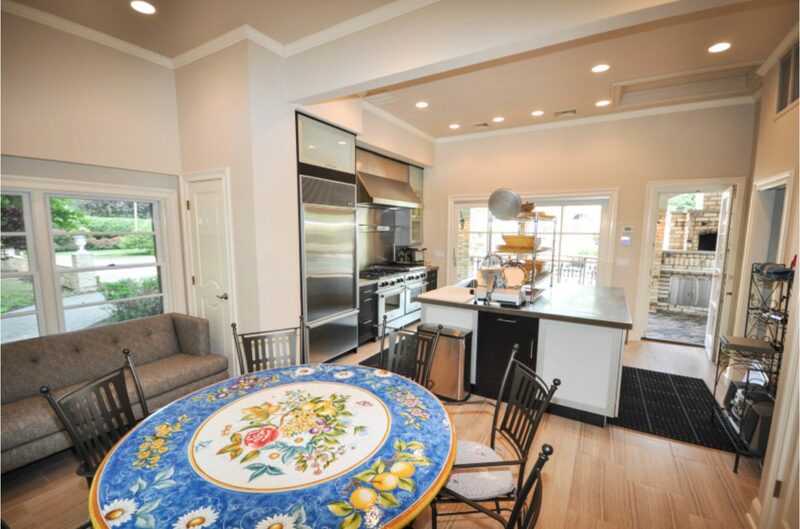 Enter through sliders, tile floor, stainless steel center island with large sink, 60” double ovens with 8 gas burner stove top, stainless steel Industrial hood and backsplash, SubZero refrigerator, high ceilings and recessed lighting, 2 closets, 3 windows, and stainless steel and glass cabinets. Pool House Full Bath: Large shower, Toto commode, tile floor, sink over wood vanity, recessed lighting, and a window.